Bring this impressive dish as an appetizer to your next gathering! This recipe can also be used to make a ‘clean’ egg salad. Be sure to make these shortly before the event to keep them looking fresh. 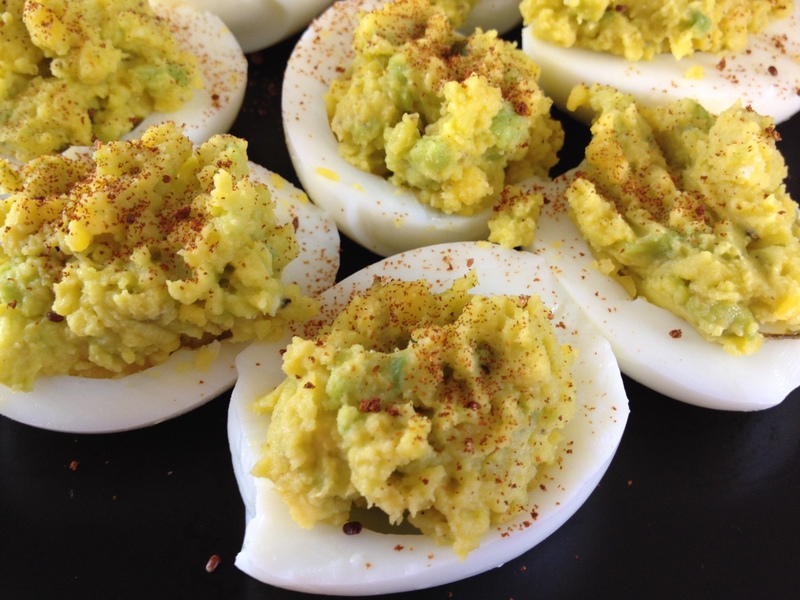 The avocado will give the dish a brown hue when left out too long or prepared too early. Slice hard-boiled eggs in half and carefully remove yolks. Place yolks in small bowl and mash. Add to bowl mashed avocado, ground mustard, greek yogurt, cider vinegar, salt and pepper. Mix to combine. Place egg whites on platter and spoon mashed mixture evenly onto egg whites or use a piping bag to fill egg whites. Sprinkle cayenne pepper over eggs. Serve.